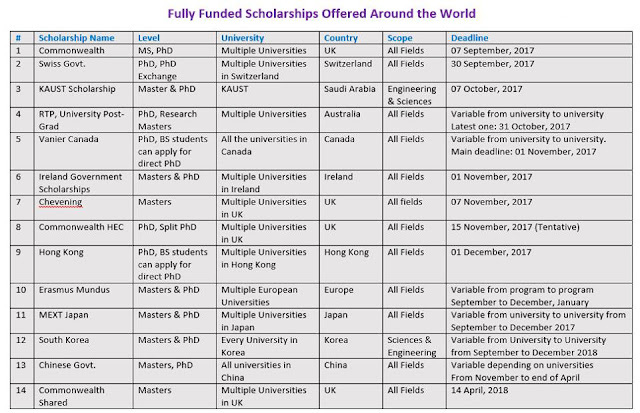 List of some of the Upcoming Masters & PhD Scholarships around the World 2018. Go through each link details given below before asking questions and use google for basic questions. I want to apply for Fall Semester 2018 in PHD in Architecture, currently pursuing Masters degree. Which one is possible for indian management students. Please how do I apply? I want to apply for Agricultural science. Thanks. 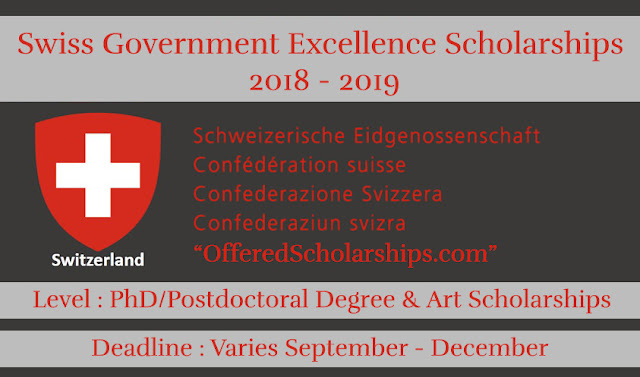 I want to apply for fall 2018 UK fully funded scholarships,i have missed most of the deadlines.I want to know the names of UK scholarships other then chevening whose deadlines have not passed. 1.) My brother left his studies after high school 10 years back as he did not like it. He wants to pursue drums. At the moment he is learning drums since 2 years from a local teacher. But it's very expensive. For his living he has his gift article stores. But he wants to come out of it. He is very talented and has acumen for performing arts. 2.) My husband wants to do MBA in Stanford. He already has Double MBA in Systems and Finance. And is work in the USA as a Business Analyst. He has H1B visa. I am Akbar, I am looking for scholarships for field of electrochemistry, related with electrodeposition pure metals, obtain metal nanoparticles and their electrochemical properties, sensors. Hi, is there any scholarship for Residency in the USA. I am a medical graduate and want to pursue further studies in the US. Hai, i want to apply for phd, scholarship available for textile engineering.please send me the scholarship which is available for textile engineering or technology. I'm from Guyana and have a family of four which includes me. I would like to do my masters in the UK, will the chevoning or common wealth scholarship support my family coming abroad with me, while im studying ?